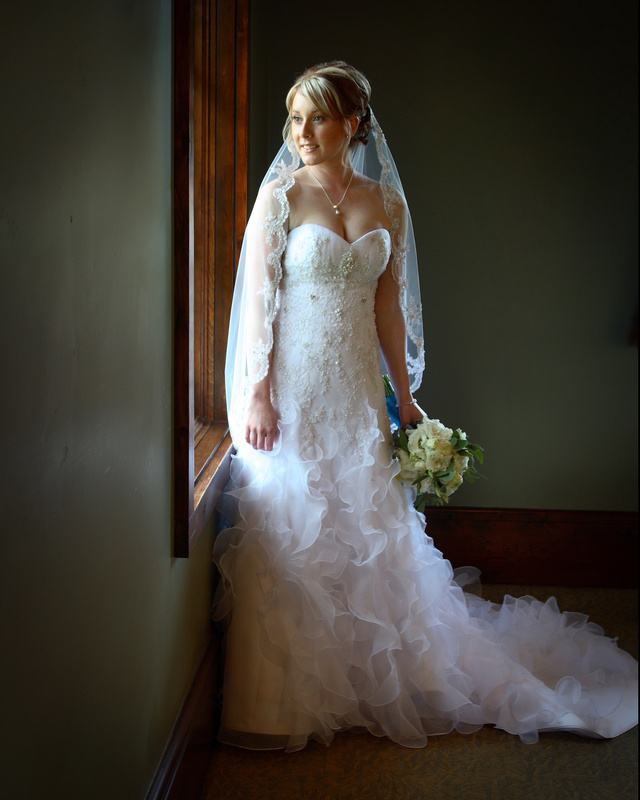 Schaffert Studio offers superb wedding photography service by providing 2 photographers (a husband and wife team) to produce 500 to 800 images of your day. Our wedding package includes all images and the copyrights. These images will include the pre-ceremony (getting ready), the ceremony and several hours into your reception. Coverage of reception will include all the highlight events: cake cutting, bouquet toss, toasts, first dances and such. Schaffert Studio will stay on site until we check with the bride and groom to make sure we've recorded all events they want covered. All images will be recorded to DVD's and will be in a form which is printable and transferable for the bride and groom. All copyrights will become their property, giving them the rights to copy, print, share, and do whatever they desire, just as if they'd produced the images themselves. An engagement session is also included. From that up to 6 retouched images will be released for their "Save The Date" cards. We'll even help them design it, if they'd like. Also from the engagement session, Schaffert Studio will produce 1-16x20 of a pose of their choosing. It will be mounted on a rigid stock and will be perfect for displaying on the reception sign-in table. possibly beyond the scope of this outline, to help insure a successful day for the bride and groom. Total for these services is $1895.00 (plus tax). A deposit of half confirms a booking in our calendar. The rest would be due 1 month prior to the wedding day.